If you intend to be a successful real estate investor, it's absolutely necessary for you to have some type of CRM or database. Just about everyone starts out without any system for keeping track of their leads and that might work for a while. But over time things start slipping through the cracks. What usually happens first is that you forget to follow up with someone. You get busy and you just forget. The reason this happens is because you don’t have a system to help you with those reminders. What was the cost of that mistake? If another investor got the deal, that is real dollars out of your pocket. A little more time goes by and you look up one day and realize you forgot to send out your direct mail. Ouch! Someone told me recently that they were hand writing their direct mail letters. If you are guilty of that I only have one thing to say to you; stop doing that! You cannot build a business that way. What you need is a system; a lead manager system. 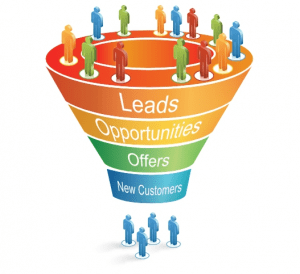 With this type of system you can keep all of your leads in one place, and it will allow you to automate your direct mail campaigns. I know some investors that like Excel, but I can tell you quite honestly I am not one of them. It’s true; not every investor needs a complicated system or even a full contact manager right from the start. A perfect example of that might be some types of commercial investors. I have a friend that is a commercial investor and he manages quite well with an excel spreadsheet. The reason that works for him is because he isn’t doing ongoing direct mail campaigns that have thousands of potential motivated sellers. He does a few postcards here and there. His business model is completely different from mine. But if you are in the single family house market and you actually want to build a real business, now is the time to do an about face and stop spinning your wheels. Excel spreadsheets will only take you so far. I have a resource for you today that will solve this problem. I want to tell you why I think SI Lead Manager is a great program and why it just might be the perfect solution for most real estate investing businesses. Folks that have been following me for any length of time know that I started out with a program called ACT by Sage. When I started out (just about a hundred years ago) there weren’t many choices when it came to these types of software programs, and I had no idea how to create this type of program myself. ACT does everything I need it to do but it was really designed for big companies with sales teams. It is not real estate specific which is a problem. I know folks that have hired someone to customize this program for real estate but that is very costly. Trying to use this out of the box is not the best choice for most investors. This program also costs several hundred dollars, and because it was designed for big companies, be prepared to pay a hefty fee if you need help or support of any kind. Until recently Act was only a desktop program. They have since added an online cloud based version but it comes with a monthly fee (in addition to the upfront cost) which is something I don’t like. I have hung in there with this program until now because I really didn’t want to have to create something for myself or take the time to tailor one of these programs to meet my needs. (In other words I got lazy). There are a couple of online or cloud based programs specifically Zoho and Podio. Both of these require you to do a lot of customization (or pay to have that done) to meet your needs. Once again, these can end up being costly solutions. But if you are looking for a cloud based system and you are up for the work this might be the route you take. My friend Scott Costello has come out it a full updated version of his SI Lead Manager software program that does everything you need it to do, it’s easy to learn AND you can’t beat the price. SI Lead Manager is designed just for real estate investors. Most of you are familiar with Scott and his “Struggling Investor” blog. Scott has chronicled his journey including the challenges he’s had along the way. Folks especially resonate with his struggles because they are often the same struggles they are having. Not only does Scott have a full time job in the software business, he’s a part time real estate investor and he and his wife added a baby boy to their family a while back. It’s easy to see that Scott has very little “extra” time so he needs systems for doing things. Some of the challenges he faced are the same ones other investor have every day including keeping his direct mail campaigns on track and managing those leads once he got them. Scott has spent years getting SI Lead Manager to work exactly the way he wanted it to work in his own investing business and now he’s offering it to other real estate investors. Are you ready to hear more? What Can SI Lead Manager Do? Well, the short answer is everything you need it to do to build a real business. This one program will put you on the path to getting more leads, closing more deals and putting more cash in your pocket. That’s what we all want isn’t it? Look – I know the truth; you can never find anything. Things keep falling through the cracks. You need a system! Remember the part about getting more leads, closing more deals and making more money? Having systems in your business takes care of that. I also know that a lot of folks dread having to learn one more computer program, but I will guarantee you that this program is easy to use. There are over 60 videos on the site that cover every aspect of this program for those folks that need a little step by step guidance. If you’re still on the fence I have a solution for that too. Watch Scott's short video then jump in and get the free trial. How about a 30 day free trial of SI Lead Manager? If you are serious about changing the way you do things in your business so you can take it to the next level, then this is your chance to do something about it. Do this for yourself. Take it for a spin at no cost for 30 days. If you want that free trial of SI Lead Manager just CLICK HERE….